Headquartered near Victoria, Canada, Global Ewaste Solutions (GES) was founded with the sole purpose of providing economical and environmentally friendly solutions for end of life IT assets. With the illegal exportation of e-waste becoming increasingly prevalent, it is difficult to know where exactly your old equipment ends up. 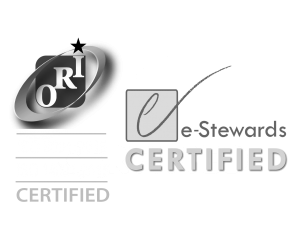 Being an e-Stewards member, our entire range of certified services are carried out to the highest standards to ensure that your assets are disposed of in a socially conscious and cost-effective way. With a variety of ITAD/ITAM services, GES tailors our process to fit your unique needs. Being an IT asset manager, we understand the need for absolute security; our facilities operate under strict guidelines to maintain an incredible level of protection. Our data sanitization programs follow the highest standards around. We eliminate the risk for data leaks in the final stage of your equipment’s life cycle. With commodity prices decreasing, proper recycling of e-waste is becoming costlier. As an experienced IT reseller, GES reduces these costs with an effective remarketing program. This enables us to extract more value from each asset allowing us to finally dispose of equipment in the most responsible of ways. We invite you to join us in creating a greener world.